When the holidays come around, it’s often easy to get caught up in your own plans. From gift shopping to meal preparation, it’s certainly a busy time. We often need to take time to pause from our own holiday celebrations and remember those who are less fortunate than us. With 14.5 percent of people living below the poverty line in the United States, many families suffer during the holidays and don’t even have enough money for dinner, let alone an extravagant holiday meal. While wrapping presents for our own friends and family is fun, it’s important to keep in mind our neighbors who may be struggling to make ends meet. 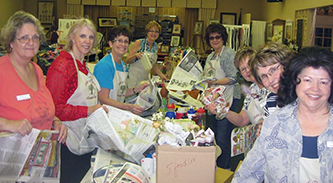 GFWC clubwomen are always doing something to help others and improve their communities. Between Holiday Home Tours that raise money for scholarships and club projects, toy drives that ensure all children have a present to unwrap, and Santa’s Workshops that give money back to the community, members are committed to making sure everyone has a happy holiday season. Clubs in every state have creative and innovative projects that spread the holiday cheer. For example, the GFWC Seward Woman’s Club (Nebraska) has partnered with the Eberspacher House, a 1906 Victorian, to host “Christmas Past at the Museum.” The event featured beautiful Christmas decorations and included a soup luncheon. Members raised money for their club and also for the Eberspacher House. In Tennessee, the GFWC Cookeville Junior Woman’s Club hosts the annual Santa’s Workshop, an art and crafts show which is now in its 38th year. Since the event started, over $500,000 has been raised and given back to the local community. With only 27 members, the GFWC Cookeville Junior Woman’s Club proves that with some hard work and holiday cheer, anyone can make a big impact. To help families in need, the GFWC Verona Junior Woman’s Club (New Jersey) has set up Adopt-A-Family wish trees throughout the community. The trees include ornaments with wish lists from families who need some help this holiday season. The Woman’s Club of Parsippany-Troy Hills is also participating in an Adopt-A-Family program in New Jersey, and has donated over $1,500 worth of clothes, toys, and other gifts for a local single mother and her three children. Another club in New Jersey is making a difference this December by playing the role of Santa. The GFWC Junior Woman’s Club of Jefferson is offering to send letters from Santa to children in the community for $4 each, with all proceeds benefiting the Jefferson Township food pantries. 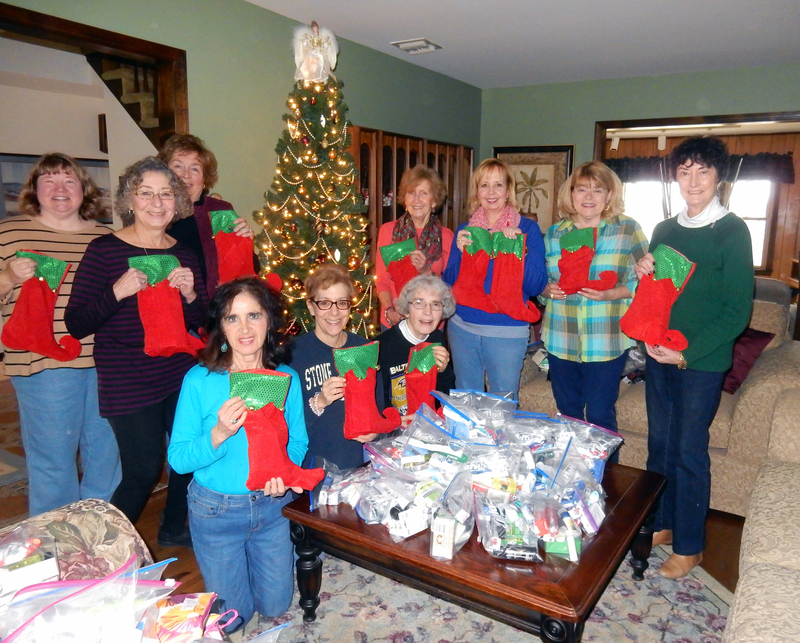 The GFWC Woman’s Club of the Denville-Rockaway area (New Jersey) filled hundreds of Christmas stockings with items such as soap, combs, shampoo, lotion, tissues and toothbrushes/toothpaste and donated them to the local social service agencies and to a Veteran’s group home located nearby. Holiday Home Tours are often a Christmas Tradition, but in addition to being a fun activity, they also serve an important purpose. For the GFWC Temecula Valley Woman’s Club (California), proceeds from its 31st Annual Holiday Home Tour benefit the club’s project, “Canine Support Team.” The GFWC Woman’s Club of Antioch is another California club that hosts a Christmas House Tour. This year’s theme is “Peace on Earth,” and all the money raised from the event go to scholarships for local high school students and help the club maintain its historic clubhouse. In Florida, the GFWC Brandon Junior Woman’s Club hosts a “Hope for the Holidays” shopping event, featuring local vendors online and at the clubhouse. Shoppers can feel especially good about their purchases at this event, with proceeds going towards the club’s Annual Children’s Holiday Party for 90 underprivileged children in the area. Wearing a pair of cozy pajamas over the holidays may be something we take for granted, but some children often go without this warm item of clothing. The GFWC West Virginia Club of Shinnston provided extra comfort for children in crisis at the Genesis Youth Center by donating 26 pairs of pajamas. It’s often something simple like this that makes a difference for a child during the cold winter months. 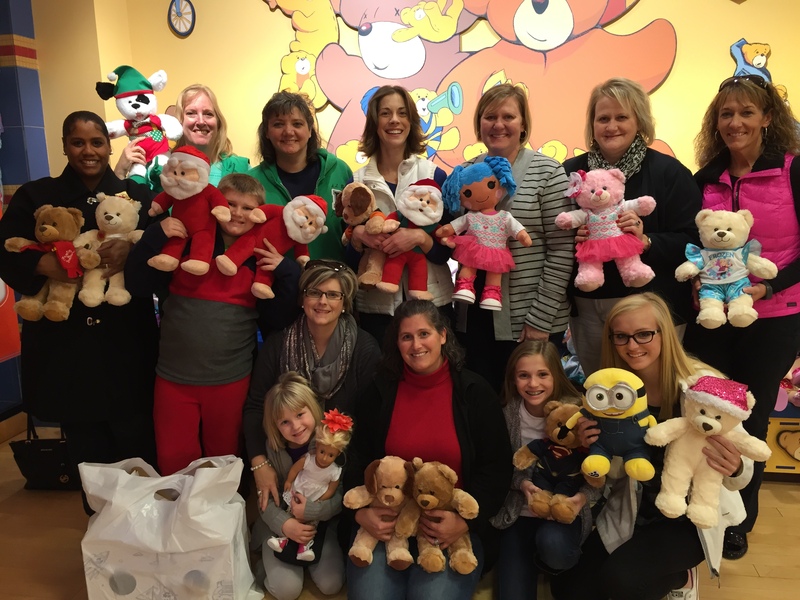 Speaking of something cozy, the GFWC Kannapolis Junior Woman’s Club and GFWC Kannapolis Woman’s Club (North Carolina) made Build-a-Bears and donated them to Main St Mission’s Christmas with Dignity Program for children in need. The clubwomen enjoyed making the bears and feel even better about helping children enjoy Christmas. These are only a few of the many thoughtful deeds clubs are doing this December. With nearly 3,000 clubs across the country, this holiday season is a little brighter, thanks to GFWC members who uplift others by Living the Volunteer Spirit. 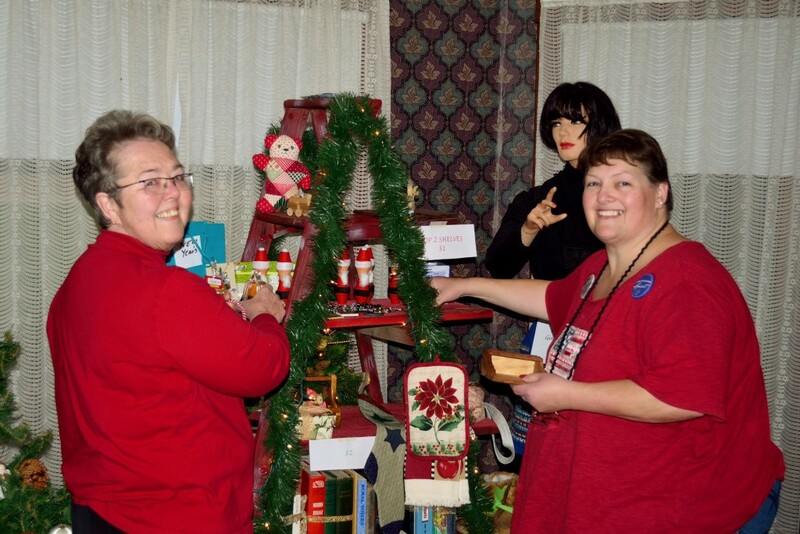 View more photos of holiday volunteer projects on the GFWC Pinterest Page. If there is time in the day to lend a helping hand, Irene Iverson will do it. 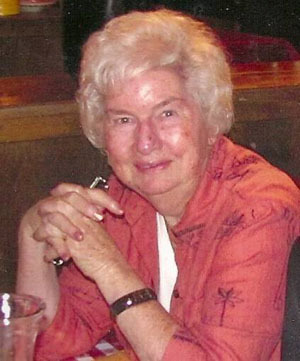 A member of two GFWC clubs and recent honoree of the One OC Spirit of Volunteerism Award for 2014, Irene has been an active leader in her community since she joined the Red Cross as a volunteer at 15. The Mesquite Club, Inc., located in Las Vegas, Nevada, started out the club year with 120 members and now has 132 members. How has the club gained a dozen new members over such a short time? One reason is Club President Cherie Williams’ commitment to raising public awareness of the club in any way possible.